Jordan says union with PA 'not on the table', as US envoy declines to comment on reports Trump admin. proposed Mideast confederation. The Trump administration refused to comment Sunday evening on reports that it had proposed a confederation of the Hashemite Kingdom of Jordan and the Palestinian Authority as part of a final status agreement with Israel. Earlier on Sunday, PA chairman Mahmoud Abbas told members of the left-wing Israeli group “Peace Now” that the Trump administration – including special envoy Jason Greenblatt and White House adviser Jared Kushner – had floated the idea of a confederation linking the Palestinian Authority and Kingdom of Jordan. 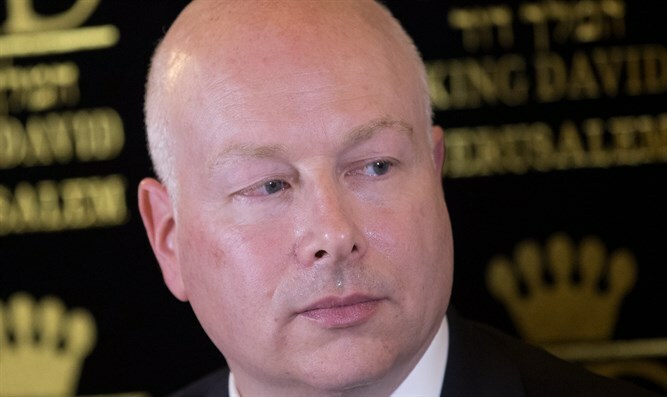 Special White House envoy Jason Greenblatt refused to confirm or deny the claim, telling Arutz Sheva that the Trump administration had “probed all relevant parties” with suggestions regarding a variety of “ideas and possibilities”. The Trump administration has vowed to release a new framework for renewed Middle East peace talks; what President Trump has dubbed the “Deal of the Century”. Unconfirmed reports by the PA-based Al Quds newspaper claimed last month that the deal would be unveiled in September. The Jordanian government dismissed the proposal to form a confederation with the PA, saying that such an arrangement “isn’t on the table”. Jordanian spokeswoman Jumana Ghunaimat said that the kingdom was not considering a confederation, and believes that only a two-state solution can solve the Israeli-Arab conflict.